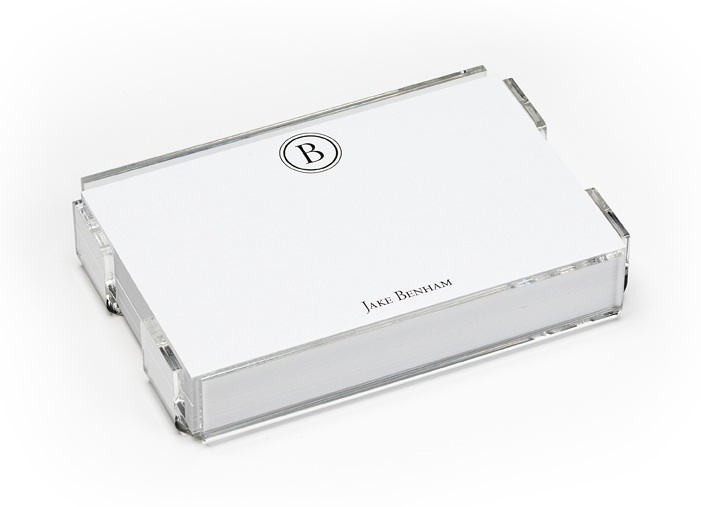 A SET OF 250 UNPADDED SHEETS IN A ACRYLIC HOLDER PERSONALIZED WITH AN INITIAL AT THE TOP AND A NAME ON THE BOTTOM. MANY COLOR INK CHOICES AVAILABLE. SHEETS MEASURES 4 1/2 X 6 7/16"